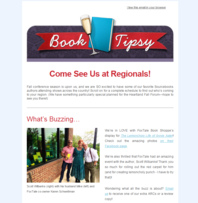 WANT TO STAY UPDATED ON ALL THINGS SOURCEBOOKS? Sign up for our newsletters and receive exclusive special offers, plus be the first to know about our new releases, price deals, and more! News on new books, giveaways, events, deals, and more! Choose what kinds of books you would like to hear about: Romance, young adult, fiction, non-fiction, memoir, and children's books. 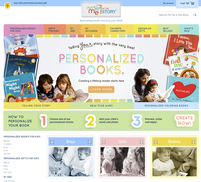 Visit Put Me In The Story to check out our PERSONALIZED BOOKS and to sign up for our newsletter to receive tips on developing a love of reading in your children as well as invitations for special sales events and discounts. Visit SimpleTruths.com to see our line of inspirational and motivational books for businesses and self-improvement. Join the Simple Truths newsletter for daily inspiration, weekly deals, and special offers! 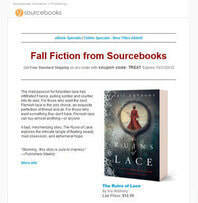 Monthly updates on new releases, store promotions, activities, and offers for independent booksellers.